Centipedes are common arthropods with long, flattened, segmented bodies with one pair of legs per segment. Their body is brown to greyish-yellow with dark stripes on top. The average centipede is 3cm to 5 cm in length and has 15 pairs of very long legs. That said, there are some species that can grow considerably longer. Their antennae are very long as are the last pair of legs, which are used to hold their prey. A centipede’s first segment has claw-like appendages that act as poisonous jaws. Centipedes are common pests found throughout Ontario. They typically prefer to live outdoors in damp, dark places, but will invade residential, recreational/cottage, and commercial properties and can usually be found in drains, basements, laundry rooms, bathrooms, or kitchen areas that are excessively damp. They have also been known to venture indoors in the fall for the colder months. During the day, they hide in dark cracks and crevices and come out at night to search for insects to eat. A centipede infestation may be an indication of a serious moisture problem or a secondary insect pest infestation. Although centipedes are generally harmless and pose no real threat to the structure of your property, possessions or foods, they are an extremely unpleasant, scary looking nuisance. Some centipedes can bite and this bite may result in swelling and pain equivalent to a mild bee sting. They can move quickly and will hide in cracks, crevices and behind baseboards and therefore, infestations are difficult to exclude. There are no real risks or dangers associated with centipedes, however, theyare venomous. Their venom allows them to attack prey and defend themselves against predators and other enemies. When handled, larger species may be able to pierce human skin and produce a bite that is as painful as a bee sting. Centipede venom is not known to be fatal to humans, although some individuals may be allergic to it and will experience more severe symptoms. The male centipede deposits a package of sperm for the female to find and take up to combine with her eggs. In the summer, the female will lay between 10-60 eggs. Some females tend to their eggs and young and some make them fend for themselves. The young are born with four pairs of legs and will mature, adding more body sections and legs at each subsequent moult. Most centipedes are carnivorous and prey upon soft-bodied insects, spiders, worms and other arthropods, including other centipedes. 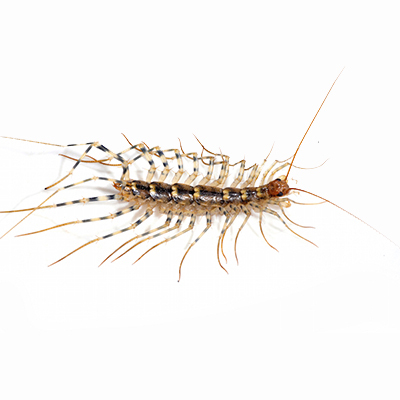 To eliminate and reduce the risk of centipedes invading your residential, recreational/cottage, or commercial properties, treatment and exclusion is the best prevention. 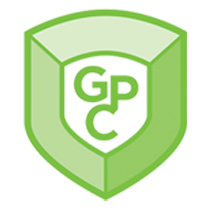 Greenshield Pest Control Inc. can provide you with many treatment, exclusion and prevention solutions.